i started working on a really cool piece yesterday. 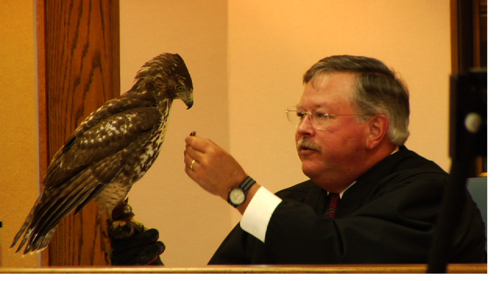 there is a judge in my area who is a falconer, which means he’s got a pet hawk that he’s training. its pretty sweet. its his second hawk, his first was a female named fionna, which was a very large bird by the way everyone talks about her. roussou, is about 8 months old. he’s a good looking guy, real cute! he whistles and chirps so calmingly. its just amazing to see this type of animal up close, not to mention on the bench.